There are many types of filling materials available, each with their own advantages and disadvantages. 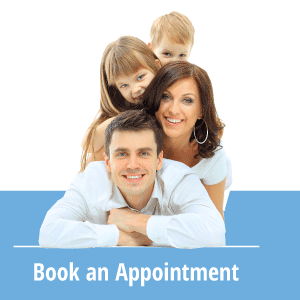 You and the doctor can discuss the best options for restoring your teeth. Composite fillings, along with silver amalgam fillings, are the most widely used today. Because composite fillings are tooth colored, they can be closely matched to the color of existing teeth, and are more aesthetically suited for use in front teeth or the more visible areas of the teeth. Although cavities are the most common reason for fillings, they are not the only reason your dentist may recommend reconstructive work. If you grind your teeth, bite your nails or use your teeth as tools, you may erode the chewing surfaces enough to require a filling to restore a healthy bite. Fillings used to be made of precious metals because they could withstand years of use. Today, gold and silver amalgam fillings are still available, but new options include tooth-colored resin composites, porcelain and glass ionomer cement. Your dentist will recommend a filling type for you based on the amount of restoration that must be done, the location of the filling, your personal preferences and your budget. Silver amalgam fillings have the greatest longevity, often lasting 10 years or longer with normal maintenance. Although gold is the more expensive option for precious metal fillings, it offers extraordinarily long wear; gold fillings can last decades or even a life time. Silver amalgam fillings contain silver, tin, copper and mercury. They are an inexpensive option and are most often used to fill small cavities. Composite resin fillings resemble a specialized epoxy and contain particles of silica or ceramics in a polymer matrix. They can be blended to match the color of the surrounding tooth material, making restoration less noticeable than it is with metal fillings. They also spare more of the original tooth during the filling process. However, resin fillings do not have the longevity of metals and may need to be replaced in under 10 years. Composite fillings are usually placed in one appointment. While the tooth is numb, your dentist will remove decay or old filling as necessary. The space will then be thoroughly cleaned and carefully prepared before the new filling is placed. If the decay was near the nerve of the tooth, a special medication will be applied for added protection. The composite filling will then be precisely placed, shaped, and polished, restoring your tooth to its original shape and function.